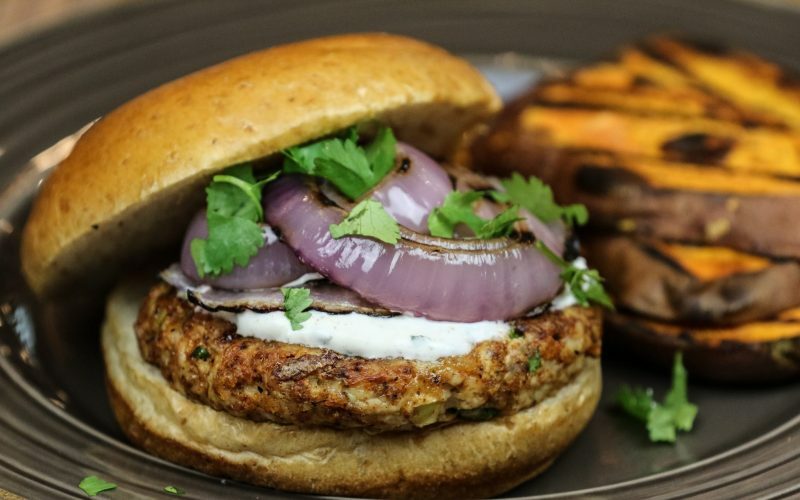 Fresh ground chicken burgers packed with tandoori flavor (mild, not spicy). Served on whole wheat brioche buns with grilled red onion slices, and handmade Greek-Yogurt Topping. Side of fresh cucumbers and grilled sweet potato planks. (Chicken patties do not contain gluten). Check if we deliver to you by entering your zip code. We deliver to that zip code. Awesome! We do not currently deliver to that zip code. Contact us to request service for your area.